Jon and I wanted to make the most of our brief trip back to Dallas, sowe made plans to find a quiet and secluded B&B to relax and catchup. Alla's Historical Bed & Breakfast immediately caught our eye. Uponhearing our car in the drive-way, Alla, the B&B owner, comes running out the door and immediately greets us with big hugs. She refers to us as her "cute babies" for the entirety of our stay. She takes us on the grand tour of the property which she owns with her husband, Rick. This house is the oldest all-brick house in the city of Duncanville, built by the Chief Mason, John C. Pelt, in 1927. The place is completely furnished with antiques that both Alla and Rick have collected in Europe- a hobby & passion that they both indulge in twice a year. Almost everything in the house is over a century old,including the toilet that they salvaged. We enjoyed their Redwood Cabana & Spa romantically-lit with oil-lanterns and strolled through the backyard garden. In the morning, Alla rang her breakfast bell and we were welcomed to the most fantastic European breakfast spread. We stuffed ourselves with homemade strawberry jam, french crepes, cheesy eggs, and imported coffee from Germany. Her family joined us for breakfast and even then we couldn't finish all the food that she served. All the while, we happily listened to stories of her life in Ukraine and of all Eastern European specialties that she promised to serve the next time we visit. After overexerting ourselves from all the eating, Alla was kind enough to let us nap through the afternoon and past our check-out time. Now, that's great hospitality! We're in love! 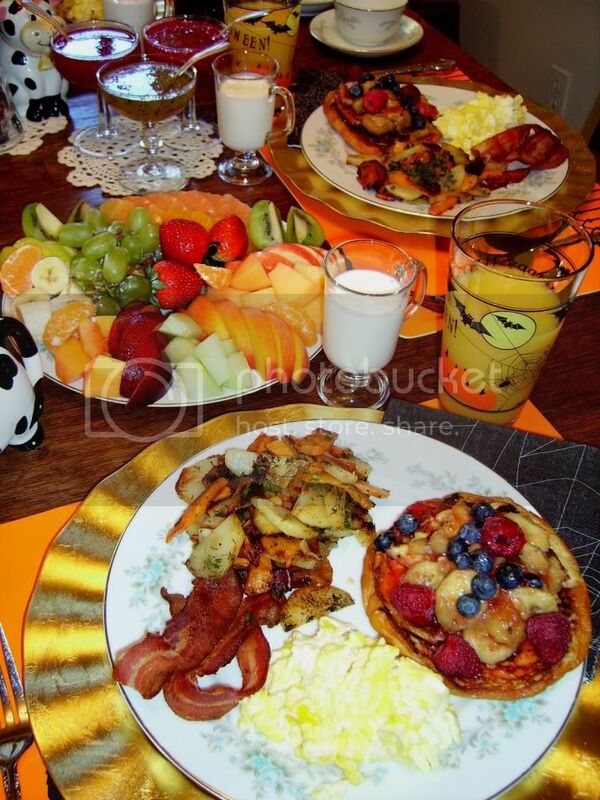 One of the features that often attracts guests to a Bed and Breakfast is the special breakfasts served. The goal of the host is to serve attractive as well as nutritious meals to guests. The rules and regulations for food service operations will vary from state to state. Check with your local health department. Breakfasts run from a continental breakfast usually includes hot tea or coffee, fruit juice and sweet rolls, muffins or biscuits. Hot beverages should be freshly brewed, fruit juices freshly squeezed or of top quality to a full breakfast with juices,entree,breads and beverages. No matter what type meal you server,everything should also be of highest quality. Keep in mind both the rules and regulations of food service operations as well as meal planning. These are both essential to the B & B business. To provide an outstanding meal, time and thought must be put into the planning of it. And, despite of all of your planning, there is no guarantee that everyone will enjoy the meals you serve. You may prefer to serve and eat foods that do not appeal to your guests. You need to consider that people have a wide variety of food preferences, flavors and combinations that appeal to them as well as specific nutritional and dietary needs. Plan to serve foods that compliment one another and are appropriate to the season as well as those that are easiest for you to prepare and serve. You must start with high quality foods. A meal can be no more appetizing than the individual foods used. Meals that are the most appetizing typically include a variety of temperatures, textures, shapes, colors, and sizes. Flavor combinations such as sweet, spicy, and bland are other considerations. The current trend in table fashions is, just about anything goes. Use of colors or florals is a personal choice. There are no fixed rules about what to use and when to use it. As you prepare foods just keep in mind that the foods should always look attractive and appealing against the table cover and place settings used. Table settings can range from the informal to the very formal. The choice is yours and is determined by the mood of your bed and breakfast and the feelings you want to convey to your guests at the meal. It is not necessary to always cover a table completely. However, there are very few occasions when there is not at least a place mat, doily or cloth between the dish and the table. 1. You may want to use low fat products to control the calories count. 2. Include whole grains, fruits and vegetables in your meals. Bran or oats can be included in muffins, quick breads and served as cereal. These foods provide extra fiber need by most people in their diet. 3. Limit the use of fats and products with cholesterol and other saturated fats. Choose vegetable oils and liquid margarines rather than butter and other animal fats. 4. Limit the use of salt. Sodium can contribute to high blood pressure. Try substituting herbs, spices and other seasonings for salt in foods. Omit or reduce the amount of salt called for in recipes;and avoid using processed or fast foods that are high in sodium. 5. Limit the amount of sugar. Even though sugar itself is not harmful, it is a source of empty calories and provides very little nutritional value. Many people are weight conscious today, so serving too many sweets may not be appreciated. Making sure that the foods you serve are safe and wholesome is a very important task. We are fortunate to have proper storage and adequate cooking methods today. However, it is amazing how many unsafe food practices people still use. Government inspections and strict standards in the food industry usually assure us of high quality,wholesome and safe foods. It is your responsibility as the cook to make sure that the standard is maintained in your bed and breakfast. Make sure that all leftovers are stored promptly. Never thaw frozen foods on a countertop at room temperature. For more rules and regulations in regards to food safety, contact your local health department. "Sanitization" means effective bactericidal treatment by a process that provides enough accumulative heat or concentration of chemicals for enough time to reduce the bacterial count, including pathogens, to a safe level on utensils and equipment. For example, bleach is an effective all-purpose sanitizer that even kills bacteria that may cause food poisoning. This sanitizer is authorized by use under USDA meat, poultry, rabbit and egg products inspection programs. If using other types of sanitizers such as tablets, then they must be registered with the US EPA and the product label must claim it will sanitize food contact surfaces without needing a final clear water rinse. You will need to check with your local health department for rules and regulations in your area. You may have to undergo some type of health inspection. The first impression formed about a bed and breakfast home happens the minute your guest sees your home and walks up to your front door. The next impression occurs in the first thirty seconds when they are greeted. Each owner has his or her own unique strengths and assets that can serve as a strong marketing feature. You must determine what these are and how you can best use them. Since your home is the first attraction for most guests, make sure that it gives a good impression in all areas. Imagine you are a guest coming to your B & B for the first time. Carefully look at the guest entrance. What mood does it set? Is the walkway clear and safe? Is there a porch light? Is it clear that you should ring the bell or just walk in? Is the yard well kept and nicely landscaped? The entrance provides the first gracious welcome to guests. If not, things get started the wrong way and it may be difficult to change your guest's opinion. Take a look at your potential guest bedrooms objectively. Put yourself in the guest's shoes. Is this a room a guest will enjoy? Is the paint and/or wallpaper in good condition? Will it provide good support? Is there a chair for reading and relaxing? It will save wear and tear on the mattress. Is there a desk or a place to write letters? Is there proper lighting for reading and writing? Is there a full length mirror available for dressing? Have you provided a night light and smoke detector in each room as a safety feature? Think about the bed linens. Be sure that you have an adequate supply. Double or triple sets of everything for each room;.sheets, towels,blankets etc comes in very handy to help you manage your time in changing the room for the next guest.Or, in case damage occurs to a bedspread, rather than having to replace the whole set, you have a spare to save you;.temporarily. Are sheets of high quality fabric? Are they fresh or worn? Do you have adequate blankets? Are pillows fresh and fluffy? Can you provide a selection of pillows to suit guests' needs? A guest room doesn't have to look or cost as much as if it came from the pages of home magazine, but it should be comfortable, and well kept. Expensive furnishings or special redecorating is not always needed. A new coat of paint, and a few new linens may be all that is required. The room should reflect individual creativity. Probably the most important thing to impress your guests is the cleanliness of your home; their bedroom and bathroom. Are there cobwebs in the corners or behind the furniture? Is dust collecting under the bed? Furniture should be polished and dust-free. Drawers should be free for guests belongings. A scented lining in drawers adds a nice touch as well. Do be aware however, that some guests may have allergies or breathing disorders. If you fill your rooms with potpourri, candles and other types of scents, you may cause more problems; have very sick and unhappy guests. Some type of towel rack in each room may also be appreciated especially if guests are sharing a bathroom. Clean curtains or draperies framing shining windows are also a main requirement. The initial outlay for opening a B & B need not be high. A spotlessly cleaned room and a bit of refurbishing may be all that is needed. If redecorating is called, it can be done in stages as time and money permit. If you plan on redecorating, consider keeping a filing system with ideas,swatches of fabric,carpeting, paper and paint chips that can help you make selections in the future. Redecorating and refurbishing is an on-going task in all good bed and breakfast homes. It is also considered a tax deduction; so keep meticulous records. Ingenuity is often key to guestroom comfort. To expand limited closed space, a chest of drawers can be added, or attractive shelving with hooks can be mounted on a wall. A inexpensive round wooden table can become a nightstand or writing area. Coordinated curtains,draperies,bed covers, pillows and tablecloths and shower curtains can be easily made from decorator sheets. Live plants, flowers--real or silk--add a nice touch. You should be able to provide extra hangers,blankets or pillows for your guests. A luggage rack is also another item that will save wear and tear on your bed coverings and mattress. Consider providing a bed tray for guests. A pitcher of water and glasses on a tray is often appreciated. Today, guests expect a private bathroom. There are some though, who won't mind sharing a bathroom, although it is getting rare. Carefully look over any bathroom that guests will use from their viewpoint. The sink, shower, toilet should all be impeccable. There should be no unsightly mold or mildew on tiles, grout, around faucets or on the shower curtain. Floors should be spotlessly clean. Be sure to include a wastebasket. Use a throw-away liner for more sanitary clean up. Paper towels and paper cups are more sanitary for guests. Extra towels, soap, tissues and toilet paper should be easily accessible. Adequate lighting and high quality mirrors in the bathroom are a must for both men and women! Safety is also critical in the bathroom. A non-skid floor surface or rugs with a non-skid backing should be used. A non-skid surface or mat in the tub or shower is also needed. Check the temperature of your hot water to assure that no one will be scalded. Make sure that there is ample hot water for all your guests needs. Are faucets dripping? This can be a most irritating sound for a guest trying to get a good night's sleep. Another safety feature you may want to consider at some point is the use of GFI circuits in the bathroom to prevent shock. After looking over your bathroom situation, a quick fix up with some fresh paint or paper and a few new linens may be all you will need to start up your bed and breakfast. However, if there are many of the basics lacking, you will probably want to do some remodeling immediately.Use your imagination to come up with some solutions to common bathroom problems. If there is too little storage space, consider hanging shower caddies or corner shelving. Shelving with pegs will add extra hanging space for towels. Wicker plant stands can also hold towels. You may want to box in plumbing features under the sink and use louvered doors for a decorative effect. An old dry sink or a chest of drawers can be made into a sink as well by cutting out a hole in the top and placing the sink bowl and fixtures in place. If you are handy and can do it yourself, you may be able to save quite a bit of money in the remodeling and redecorating process. If the bathroom is shared you will want to encourage guests and/or family members to leave the bathroom in good condition for the next user. You may want to leave a nice wicker basket or some other attractive holder with cleaning supplies in sight. This hopefully will inspire guests to take a moment and clean up after themselves. If that isn't a strong enough hint, some type of clever sign can be used to get the idea across to everyone. We could spend hours and hours discussing marketing and it's strategies however, our main purpose here today is to share some basic marketing information to get you started thinking in terms of what you will need to do to market your bed and breakfast. Just because you think you want to open a bed and breakfast, or may already have done so, doesn't necessarily mean it will be successful. I hope you will give much thought and research BEFORE you actually decide whether or not to open a bed and breakfast. It should not be a decision you take lightly. Marketing is satisfying your customers (guests) needs and wants. Needs: Gaps between what the customer (guest) have and what they would like to have. Wants: Needs of which your customer (guest) are aware. The inability to understand your customer's (guests) needs and wants can be a serious threat to your business. As B & B operators, we are here to serve the customer (guest). Their needs are priority #1! Now, none of us was born with a marketing degree, so this is something we need to learn and then polish through practice. Remember also, the marketing of hospitality and tourism is viewed a little differently than the marketing of a specific product. Let's take a brief look at the differences. Why Market a B & B? Competition is also greater today. Now that can depend on your location and the number of other lodging choices available where you are and if they are needed. Competition is not all bad. Many B & B owners form associations and work very cooperatively together locally as well as state and nationally. Pooling resources is economical for everyone as far as advertising etc. Referrals are also shared. Next consider to whom you will target your marketing efforts. The economy, social, cultural and lifestyle issues all play a role in market segmentation. You cannot cater to everyone. You must aim for a specific group for the majority of your marketing efforts. 1. Marketing Concept: The means you are acting on the belief that customer (guest) satisfaction is your top priority. You continually want to put your resources and efforts towards satisfying your customers (guests). 2. Customer Orientation: You accept and act according to the marketing concept. The customer (guest) is always #1! 3. Satisfy the Customer: Is the only way to ensure your long-term survival. Success comes from knowing what your customer (guests) want and giving it to them. Never just make assumptions. 4. Target Market: All customers (guests) are not alike. You need to pick out and focus on those you want to attract. This is sometimes known as the "rifle vs shotgun approach.) Single bullet hits target rather than shot spreading all over. 5. Value/Exchange: Customers (guests) want value for their money. This is often hard for many to actually define. Some people equate value with the price of something while others do not. We must provide the experiences which guests find valuable in return for that they pay us money, make reservations and hopefully will return again. 6. Product Life Cycle: All products and services go through a life cycle: introduction, growth, maturity and decline. If we deal in services, we don't want to end up in decline, but do whatever it takes to continue to grow. 7. Marketing mix: Will be discussed next, but they are the controllable factors which are used to satisfy customer needs. 1. Product: What it is that you have to offer or sell or service to provide. 2. Place: Your location, where the product or service will be sold. Considering distribution channels to help you sell. Who else can you work with? 4. Price: How much will you charge? You must consider what your costs are and if your pricing will cover them. You may not make a living from the income from a small four bedroom B & B, but you certainly don't want to go in the hole. Now you must also consider the other 4 "P's" of the hospitality industry. 5. People: The hospitality/travel/lodging industry is a people industry.People are the reason why they exist--to satisfy their needs and wants. Your customer( guest) is part of the experienced purchase. 6. Packaging: Being customer oriented. find out what the customer wants and needs and then supply it satisfactorily. 7. Programming: Also is customer oriented. These are the special things you can provide for guest to give extra added appeal to their stay. May also use to induce extra spending. ( Cook books, craft articles, special weekend packages) All of these things can help alter the demand for your product/service. 8. Partnership: Cooperative efforts among other B& B's or other hospitality/tourism organizations. There is a great value in cooperation. Since we are all in the same boat, if we row together, we'll get the customer (guest) where he wants to be. Resulting in a satisfied customer (guest ) and will more likely a return one. Think of place you've been that you want to keep going back to....why is that? You want your customers ( guests) to come away with those same feelings and thoughts of you as well. Marketing takes a lot of effort. It cannot be done in a hurry because by making assumptions without knowing the real facts can be catastrophic. Plans range from the short term ( easily met ) to the long term. Just as with many other things the old saying " the best laid plans may go astray." Plans are meant to change they cannot stay static. Lets take a look at the basic steps in marketing to get you thinking as you start your planning process or make changes to ones you already have made. Here we want to ask: Where are we now? and where would we like to be? If you are to succeed you must be realistic and look at both your strengths and weaknesses. Some of the previous information sheets will help you to do that. In this stage we ask ourselves How do we get there? A market plan is key. It will act as our blueprint for action. You will have to know the answers to these kinds of questions if you are going to seek a loan. These items will also be part of your business plan. Or, you can think of it as your roadmap. If you don't know where you are going any road will get you there! Use the map to make sure you get to the place you want to be. Here we ask How do we make sure we get there? Just because you have a plan doesn't always mean you follow it or that it will succeed. There must be some checks and controls along the way. Allow time and ways to do evaluation of your plans then if a change is needed, you can plan for it and then get on with where you want to be. We spend a lot of time putting our plans together but often fail to plan for any evaluation of it to measure the results we are getting. We learn from both or successes and mistakes. Evaluation/ yours and your guests will help you answer the question, How do we know if we got there? From there, the cycle can begin again until we are satisfied with our planning and the results obtained. Before you even start planning a bed and breakfast, there a few hard facts you need to really think about and the main one is who out there will really want to stay at your bed and breakfast ? You need to do a target market analysis to see if there is even a demand for your bed and breakfast. Just exactly what is the potential? Many people can kid themselves about the potential, but if you are investing a large amount of capital into starting your bed and breakfast, you'd better be very sure about the potential. More about this when figuring your potential room nights etc. Honestly, a small four bedroom B & B is not going to generate enough income for you to live off of, unless every room is filled every night!! And then, you'll be in for a case of burnout!! When identifying the potential target markets, we must also know what it is we can provide for them specifically. Will enough of them buy our service? In doing a target market analysis we need to ask several key questions"
1. Who is/are the market/s we want to reach with our product? 2. What are the needs they are trying to satisfy? 3. Where do they live? Where do they buy? Where do they travel? 5. How will they buy the product? Cash, credit etc. 6. How many of them can we attract with our product? This is more often done on an existing business do determine "where are we now" But a new business can benefit from this just as well. Try to think of it as the SWOT theory--Strengths, Weaknesses, Opportunities and Threats. It will help you with your long term planning and in developing marketing plans. Start with the big picture and work your way down. When you know the answers to all of these points, you are better able to "position" yourself within your own "niche." Let's just take a brief look at each item. Environment: Usually uncontrollable on your part-- what is the picture right now? legislatively, economically, socially, culturally that will make your operation feasible? Location/Community: Are there any events, business openings/closings, expansion/development etc that could impact positively or negatively on your opening of a B & B? Competitors: Do you have any? What kinds of services do they provide? Can you match or better? How do they promote? Often times, B& B owners don't see it as competition, but as cooperators--but this is not always the case. Market Potential: Is there even a need for another B & B in your town? or one at all? Services: What can you provide that will make you stand out above others? Are you willing to do it? Once you know these answers, you are in a better position to develop your strategies for marketing. Maybe you've never really given much thought to the way you make decisions about buying certain products or services but there is a definite pattern in making these decisions. You and your guests make all types of decisons--some are routine and require very little thought while others are extensive because they involve a great deal of money. These days guests will usually do a lot of research before choosing a place to stay especially if it is for a pleasure trip and if it will mean a great deal of money. As the B& B owner, we want to do all we can to help reduce any "perceived risks" the guests may have about a stay with us. Your service will be evaluated based on what the customers perceptions are--not yours! As you think about who will stay with you in your B & B--these are some questions you will need to ask yourself. YOU must determine what your target market or niche will be. Realize, you will not be able to serve and satisfy everyone's needs. Can you answer these questions discussed above? If not, then you need to do some more planning and research BEFORE you open a Bed & Breakfast. A bed and breakfast, is generally known as a private home where a guest is provided a place to stay for the night. In some cases, the bathroom provided for the guest is shared with the family or another guest. Although now, guests expect a private bathroom. Breakfast is usually included with the price of the room. A bed & breakfast provided in a private home has been referred to as a "homestay" in the past. Besides private residences, there are some establishments called Bed & Breakfast Inns. The same concept of room and breakfast apply. However, the major difference is the inn has more rooms available than the usual one to four bedrooms found in a private home. Inns usually provide meals in addition to breakfast, as well as other services not provided in a private home. These two terms are used in the industry to distinguish the difference between a stay in a private home and an inn. But remember, no two home or inns are alike. They vary within the same geographic area of the county and even more so across the United States. These differences are what attract people to stay at a B & B home or inn and why they have become so popular. Each one has it's own personality. Generally, a B & B is not the reason for a guest to visit an area, but due to the increase in publicity of B & B's this too has changed. People read articles in a variety of publications and are attracted by the B & B and plan visit the area specifically to stay at the B & B. In general travelers are attracted by recreational, cultural, historic sights or business in an area. Business travelers, especially women, seek out bed and breakfast accomodations as an alternative to the typical lodge, motel or hotel facility available in an area. B & B's provide the traveler with a different lodging experience as well what many consider a safer environment. The bed and breakfast concept has existed in one form or another since the beginning of man. Monastaries served as a bed and breakfast for travelers. Bed and breakfasts have been very popular with the traveling public in Europe for years. It was in England, Scotland and Ireland that the term B & B first came into use. Tourists will see a B & B sign in many windows there. The term B & B is not used in many other countries. Terms such as paradors, pensions, gasthaus, minskukus, shukukos, pousados are used to describe a bed and breakfast. The United States also has a history of bed and breakfast dating back to the time of early settlers. As the pioneers traveled the trails and roads across this county, they sought a safe refuge in homes, inns and taverns. During the "Great Depression" many people opened their homes to travelers to bring in some additional money for the family. The term "boarding house" were used at this time. After the depression, this type of lodging declined and many people had the idea they were just for the low income or drifters. In the early fifties, people may remember "tourist home" being used. This too was essentially a form of bed and breakfast. Once the motels were built on the new highways, they were soon forgotten. Because of the number of Americans traveling to Europe in recent years and rediscovering the B & B's, there has been an increase in interest in the United States. Today, the B & B is not viewed as a low cost lodging facility but as an alternative to the typical standard chain hotel or motel room. Who Own a Bed & Breakfast ? It's almost impossible to describe the typical person who operates a bed and breakfast. They come from all walks of life; from professionals to laborers. Artists, craftsman, farmers, insurance agents, teachers and anyone else you can think of have opened and run successful B & B businesses. Singles, couples and families have also been involved. Their reasons for opening a bed and breakfast? They are just as varied. Perhaps the children have grown and moved away and there are empty rooms in a large home. Some people just have more rooms than they need. Widowed or divorced people have been involved with B & B's. While they are run for a source of income, most people do not depend on them soley for their livelihood. People retired from other professions such as professionals or farmers who have a primary source of income typically operate a B & B. All successful B & B's have one thing in common.Owners who like people! They also like to entertain people in their homes. Many of these owners also have skills they want to use such as cooking in order to please their guests. Others may have historically significant homes they want to share with others. Anyone seriously thinking about opening a bed and breakfast must like people and be able to deal with all types of people. This is a people business! You must also be willing to sacrifice a big part of your personal life since guests will be living with you. If you are still interested,before you make your final decision, it is suggested you do a lot of reading and studying.You should also attend special workshops, which are offered all around the country. People operating a bed and breakfast should enjoy their guest. It is not uncommon for lasting friendships to form between hosts and guests. These guests are usually frequent repeat visitors and also serve as a major source of referrals for other guests. People who stay at bed and breakfasts aren't the ordinary traveler. They are looking for quality lodging and service as well as the uniqueness of each host. They are not looking for a bargain. In fact, they are usually quite willing to pay more for something different and out of the ordinary. As you plan for the start-up of your bed and breakfast, there are some decisions you will need to make in order for the experience to be both profitable for you and enjoyable for your guests. Do not take these decisions lightly. Taking care of these items before a situation occurs can save you money,worry and grief in the long run. House rules are the rules you want your guests to follow. You will want to establish these ground rules before receiving your first guests. Guests will need to be made aware of your decisions before staying at your bed and breakfast in order to avoid possible conflicts. 1. Will smoking be permitted? You may want to keep smoking limited to certain areas in or around your home or simply say "no smoking is permitted." 2. Will you allow social drinking? Some people enjoy a cocktail before dinner and may bring a bottle with them. Some hosts offer wine or other liquor to their guests. You may not sell alcoholic drinks in your bed and breakfast. This would require a special liquor license. You must also consider the fact that if by chance an accident did occur and the guest says your served him the liquor, you can be held liable. Check on your state's dram laws.If you prefer that no alcoholic drinks be consumed in your home, say so to your guests. 3. Will you accept children? Will you only allow certain ages? More bed and breakfasts are accepting children, but that decision is up to you. You may enjoy children, but will your other guests. Who will your guests be? Will you target groups that want to be around children or not? Make sure that this rule is made clear to potential guests in your brochure and advertising. 4. How do you feel about guests bringing other people into your home? May guests take others to their room? Is there a public area that can be used? You may want to set a specific time after which only guests may be in your home. 5. Will you allow guests to bring their pets? Do you have pets of your own? Be sure to inform all concerned parties about your policy. Non-pet owners may object, or you may have a guest who is highly allergic to certain animals. If you do allow animals, where will they stay? Inside? Outside? Restricted areas of the house? Remember, if you have a dog that protects your home by nipping at strangers, it could mean a lawsuit someday. 6. Will you permit guests to use your phone? Perhaps you will allow only local calls. You may suggest that all long distance calls be done with a phone calling card or charge an extra fee for any long distance calls. Will you provide a phone in each guest room? This may be an asset if you are trying to attract business travelers. Let your guests know the policy in advance to avoid problems. 7. Will you allow guests to use your kitchen or laundry facilities? Do you want strangers roaming around in your kitchen or laundry when you are not there? Will you allow limited access when it is convenient for other family members? Do you want others cooking on the premises? Perhaps you can provide a separate small refrigerator or ice maker in a public area where guests may store items and be able to help themselves to ice and beverages at their convenience. It is important to make your rules and expectations very clear to your guests. This can be done verbally when booking a guest or upon their arrival. The use of written "house rules" posted tastefully in each guest room in another method some hosts use. Any limitations set should be used on all publicity and advertising materials. Try to look at your home objectively. Are your furnishings in good condition? What type of beds do your rooms have? Twin, double, queen, king, waterbed etc.? Is there enough closet space? Before you open your home to guests, try spending a night in each room as if your were a guest. As a homeowner, one often becomes immune to the street noises or a bright security light in the back yard. Perhaps the hourly chimes of your grandfather clock in the hallway will keep some guests awake at night. Find out if the beds sag? It may be time to purchase a new mattress and box springs. Are pillows in good condition? What type of pillows are there? Some guests are very allergic to down ones. Is there adequate light in the bedroom both for dressing and reading? Is the floor cold when one gets out of the bed? Do you need to get out the oil can for some of the squeaky doors? You get the idea. All of these things can mean the difference between a satisfied and dissatisfied guest. The definite trend in more and more bed and breakfast homes is to provide a private bath with each room. Guest now expect them. You may not be able to provide a private bath for each room. In many cases a guest will not object to this providing you have made adequate arrangements for sharing of a bathroom. But, how will you and your family feel about sharing a bathroom with strangers? You will be losing some privacy in your own home and may even have to wait in line at some time. Are you willing to do this? When a bath is shared, you must be concerned about keeping clean and presentable for guests. How will you make it easier for everyone to cooperate in keeping the bathroom clean for the next person? Special care must be taken to assure that bathrooms are scrupulously clean before, during and after a guest's stay. A small basket of cleaning supplies in a convenient location may help others realize that they need to keep the bathroom in good condition for others. A "clever" sign can be hung in the bathroom as a reminder to the slow pokes. Make sure that any reading material is kept in other rooms. How will you deal with security in your bed and breakfast? Some hosts will give guests a key at no cost. Others will charge a "key fee" of $5 or $10 which is refunded when the guest returns the key. For your own security, you may give the guest a key for their room and a regular front door lock and not to the dead bolt security lock. Other hosts give guests a key to their room and then set specific hours that the front door is kept locked. A bed and breakfast traditionally provides a comfortable night's lodging and a good breakfast in a private home. Guests choose this type of accommodations because they enjoy the personal contact that a bed and breakfast host gives to their guests. Hosting a bed and breakfast often brings many new friendships and guest who will return again and again. However, before you start your business, take a long hard look at yourself and your lifestyle. It may seem like a glamorous and interesting opportunity, but it is also one which will require many long hours and lots of hard work. Many people dream of owning a bed and breakfast. However, it takes more than just a desire to run your own business. Many skills are needed to run a successful bed and breakfast. Do you have what it takes? Before spending a lot of time and money, use this personal assessment survey to determine if you and your partner, if you have one, really have the skills needed. Answer each question honestly by placing a check mark in the box. Complete the survey for yourself and also complete one on your partner. Have your partner do the same. Compare your answers. What are your strengths and weaknesses? Did you find any of your answers surprising? Consider ways to compensate for your weaknesses. You should now be better prepared to make some realistic decisions about starting a bed and breakfast. A well thought out thorough plan will assure an enjoyable and hopefully profitable bed and breakfast business. Since everyone in the family will have to live with the decisions, everyone should be involved in making them. The planning process should be done carefully and should take a lot of searching and study. Be realistic in what you have to offer potential guests. What do potential guests want? How can you bring your wants and their wants together? Planning is a process to help you and your family consider and reconsider a variety of ideas. Think about each of the following points thoroughly as they apply to your situation. You should first prove to yourself that your ideas for a bed and breakfast will be a worthwhile venture for you and your family. Some of the elements of the plan will also be useful if you need to borrow money for the business in the future. 1. Your bed and breakfast home and grounds; its character, period and/or style, location, facilities and activities on the premises and within the community seasonal or year round. 2. The amount of free time you have available to manage and operate a bed and breakfast. Is it adequate? 3. Family members, bed and breakfast related skills, dispositions, and interests. 4. Available capital for bed and breakfast start up and on-going costs. 1. What are your reasons for considering a bed and breakfast operation? Are they just financial needs? 2. What is your desired income over a "pre-determined" number of years (net profit). 3.Do your bed and breakfast goals mesh with family goals, long and short term? 1. Check out what is needed in the way of licenses and permits: zoning, building and housing codes, health regulations, vendor's license, within your location. 2. Can you obtain and what is the cost to you for liability and other insurance: hazards to eliminate, liability insurance for a public place? 3. What are the tax requirements: local, state, federal, sales you will need to meet? 4. What sort of business structure: sole proprietorship, partnership, corporation if any, will work best for you? 1. Socio-economic characteristics of your targeted guests. Consider what you prefer and/or you will most likely attract. 2. Number and location of potential clientele. 3. Distances and routes to specific targeted areas close to your bed and breakfast. 4. Anticipated growth in socio-economic status. 5. Trends in bed and breakfast preferences. 1. Quantity and quality of similar B & B's and attractions in your location. 2. Profitability of competitors' bed and breakfast and trends. 3. Competitors' locations to target guests. 2. Start up and maintenance costs (facilities, equipment, supplies and services). 3. Pricing bed and breakfast facilities and services. 4. Inventory and depreciation record keeping. 5. Bed & Breakfast Standard Operating Procedures ( with family members assignments). 1. Image building: logo,stationary, signs etc. 2. Sales strategy: uniqueness, quality, price, location, etc. 3. Promotion strategy: type of advertising and media; agencies and organizations. 2. Tasks to accomplish goals. Set deadlines. 3. Needed resources: money, time, labor, etc. Evaluate your progress periodically and update your plan. No plan is static. Things will happen that will cause you to make changes in your plans. Call on professionals for assistance; an attorney, accountant, insurance agent, a bed and breakfast organization director, and others you may know. 1. Check out other books on the subject from your state government. 2. Talk to local chamber of commerce, visitors bureau, etc. Although it is possible to start a bed and breakfast without a big capital investment, there are some important start-up costs one must consider. A major factor is whether or not you already own a building suitable for a bed and breakfast. The projections here assume that a building is completely paid for. Otherwise, you will need to include a house payment in these projections. People have many reasons for wanting to start a home based business--the need for additional income, a way of making a hobby produce some income, the desire to stay at home with children, the need to be with the family more, or just plain tired of an hour long commute twice a day.Whatever the reason, the facts remain. Home based businesses are growing and are expected to maintain continued growth in the future. The bed and breakfast industry has also grown significantly and many believe there is still room for more growth. Bed and breakfast operations seem to have found their niche in the hospitality industry. If you are one of those people considering the idea of opening your own bed and breakfast, the first people you will want to discuss it with is your family. Some people may consider this the ideal way of having the best of both worlds--family and work--but think again. If your family members aren't willing to give up or share some of their space with potential guests--you have a problem. Working in a home based business becomes a delicate balancing act between work and family. The pressures of business could get the best of you and cause some conflicts in the family. You must put a lot of thought into how your family and the business can function together. Consider these points and discuss as a family before reaching your final decision. As a business, bed and breakfasts are dependent on their guests' schedule and families must manage around them. How will this type of scheduling affect you and your family? Do you have young children that need your care and attention? Do you and family members have commitments or obligations which will interfere or conflict with guests' needs? Some businesses can pick and choose their hours of operation. Bed and breakfasts have some flexibility in this area, but if you want to build up your business, you have to be open. Can you schedule some time off in order to be with the family? Will it hurt the business? Will it coincide with the time they have available? Will you be able to handle the tasks required by both your business and family? In a bed and breakfast, you will need to get up early, probably go to bed late and in the beginning, do all of the housework, prepare meals, as well as manage the business. Do you have the energy level needed? Are others will and able to help? Your home will be your place of business. Are family members willing to give up some of their space for guests? Have family members take some time to fill out the worksheet below and then discuss it with them. How will your business affect your neighborhood? Will neighbors accept and support a bed and breakfast? Zoning is another concern for some bed and breakfast locations. Use this worksheet to find how each family member feels about sharing rooms in your home with guests. In the left column, list each area and room of your home. Across the top list each family member. Using the codes listed below, have each family member indicate how comfortable they are with guest's use of these rooms. After everyone has finished, determine what space appears acceptable and on what kind of schedule. Now it's time to talk! Does everyone agree? Are there ways you might be able to negotiate a compromise? If not, you may need to rethink your plans for opening a bed and breakfast in your home. Running a bed and breakfast takes a lot of work. It may sound like a glamorous business, but it will mean some long hard hours for the hosts. One person cannot do it alone. You will need help. If family members are present, can you persuade them to pitch in? Unless you are independently wealthy, you probably will not be able to hire outside help when you begin your business. Many people say the financial benefits are one of the reaons they want to open a bed and breakfast in their home. It is probably not realistic to expect to earn your entire living from the operation of a small (4 rooms) bed and breakfast. However, if you are looking for a way to supplement a retirement income, or just add to your present income; a bed and breakfast in your home can provide you with a number of other financial benefits. The Internal Revenue Service allows bed and breakfast operators to deduct some costs of maintaining the portion of your home which is used exclusively and regularly for the business. Business expenses may also be deducted as a percentage of the house you use directly for the bed and breakfast business. Since IRS rules are always changing it is best to seek out professional advice on tax matters. Ask any innkeeper or hotel manager and they will tell you, the chances of being booked every night of the year are pretty slim. The same will be true of your bed and breakfast no matter where you are located or what you do. So, what would be a success for your bed and breakfast? Many people would think that filling rooms 100 nights out of the year would be good, while for others it would be a disaster. According to a survey of bed and breakfast operations, the average number of room nights booked is 362. And, that is after several years of operation. If you figure that number at the average rate of $60 a night, that is an income of almost $20,000. Again, before any of your expenses are paid. Realistically, you should not expect too much from your first year of business unless you are located in a very popular tourist area, or in an area of high demand with little accomodations available. This is not a "get-rich-quick" scheme. If you want to make more money in the hospitality business, running a full-service inn would be another alternative. It takes much hard work and effort to run a bed and breakfast. Think of it as a way to supplement your income and the chance to meet many new and interesting people. That way, you won't be disappointed. How much will you charge for a room at your bed and breakfast? There are no set rules for determining the rate. There are some general suggestions you might want to follow. It does surprise many people today to find out many bed and breakfasts are not necessarily cheaper than a hotel or motel. This used to be the case several years ago, but no longer. Guests who stay at a bed and breakfast are looking for something special and are usually willing to pay for it. Remember, you don't want to charge too much or too little. The type of room available. The type and size of bed in the room. The average rate charged by local hotels. The more you have to offer a guest, the more you should be able to charge. Don't charge so much that you keep guests away, but don't charge so little that you are literally giving away your time. Afterall, you are running a business. If you need to adjust rates, have too many requests, or the lack of guests may be an indication that a change in rates up or down may be needed. Length of Guest Stay The typical bed and breakfast guest stays only a short time. One survey conducted indicated about sixty percent of guests stay only one night at a B & B, twenty-five percent stay two nights and about eight percent stay 3 nights. The length of stay will depend on the reason the guest is visiting in your area. If it's a business trip or if you live in an area with many tourist attractions, a guest may stay longer in your bed and breakfast. If the guest is just stopping on the way to another location, the stay will be shorter. The bed and breakfast home is a home based business opportunity that has experienced a great deal of interest around the entire country. Laws and regulations on bed and breakfast operations are just now beginning to catch up with this part of the travel and tourism industry. Laws will vary from state to state and even county to county. Some of the more common state laws that could apply to a bed and breakfast are here. For complete information, contact sourcesin your own state or check with your own local officials. One,two, and three family dwellings with not more than five lodgers or boarders are exempt from the requirements of the Ohio Basic Building Code. However, the requirements of your local building codes would be applicable. With more than five lodgers or boarders, the Ohio Basic Building Code would be applicable as either transient ( use group R-1) or non-transient ( use group R-2) residential buildings. Transient lodgers make use of a facility for a period of less than 30 days. Again, check with your own local codes. The local fire department has jurisdiction to inspect all bed and breakfast operations which have four or more bedrooms hired out to the transient public for sleeping accommodations. In Ohio, all bed and breakfast homes which have five or mor bedrooms are subject to inspections by the State Fire Marshall's office. For additional information on fire inspection, contact your own state or local fire department. In Ohio, any bed and breakfast serving a meal or lunch to five or fewer guests is exempt from purchasing a food service license. Any bed and breakfast serving a full meal or lunch to more than six guests must obtain a food service license with the exception that there is no restriction on the number of guests that may be served a "continental" breakfast. A "continental" breakfast is defined as a beverage and pastry. You will need to contact your local county health department for rules and regulations specific to your area. In Ohio, any bed and breakfast which has five or more rooms for transient guests must purchase a motel license and comply with the requirements of the State Fire Marshall's office. Check with your state officials for any requirements in your location. Ohio law requires that any business name that does not fully identify the owner(s) of the business be registered with the Ohio Secretary of State. Also, if you wish to protect or keep the name that you have selected for your business, it will be necessary to apply for a trade name registration with the Ohio Secretary of State. For more information on registering a name and/or trade name, contact your own state government. In Ohio, a bed and breakfast with five or more bedrooms available to transient guests is considered a hotel and the sales tax is applicable to the room rental charge. Also a "bed tax" is applicable to a bed and breakfast with five or more rooms. You will need to check with your own State Department of Taxation for rules and regulations. The opening of a bed and breakfast is often an issue of concern in many areas. The majority of the bed and breakfasts are opened in private homes. And, since many communities have zoning ordinances which control or regulate the use of private property, potential operators of a bed and breakfast need to investigate whether zoning can be changed to fit the needs of this type of home based business. Failure to meet local zoning laws can mean fines and often legal actions as well as loss on money on the owners part. Homeowners or potential buyers interested in running a bed and breakfast should raise the issue of zoning first before going any further with plans. If there is a problem, you may have a variety of options to pursue, but find out first before investing your time and money. Zoning is a locally enacted law that regulates and controls the use of private property. Not all communities have enacted zoning regulations. Zoning involves dividing the community into districts for agricultural, residential, commercial,industrial and public uses. The zoning law then states which specific uses are permitted in each district and under what circumstances. Depending on where your potential bed and breakfast property is located, it may be necessary to discuss zoning matters with township, municipal and/or county officials. If the community is not zoned, then the homeowner should be allowed the proposed change in use. However, if zoning rules have been adopted, a review of the law must be done to determine whether a B & B establishment is permitted. The zoning law should describe the procedures necessary to make a change in use. In those cases where a B & B is a permitted use, usually very little is required to affect the change other than a zoning permit application. The zoning inspector would normally approve a change in use that is consistent with the zoning laws. If the permit is denied by the inspector, the homeowner can appeal to the Zoning Board of Appeals. In some cases if the appeal is turned down, than an alternative is to file for a variance. A variance is a type of appeal since the homeowner must first go to the zoning inspector with an application for a zoning permit. When the inspector disapproves the application, the homeowner files a request with the Board of Zoning Appeals for a variance from the strict application of the zoning law. In some communities, the zoning law has provisions for "Conditional Use Permits". Applications for conditional use permits go directly from the homeowner to the Board of Zoning Appeals. Conditional use possess unique or specical characteristics relating to size, traffic generation, method of operation, location and design. Each use is considered on an individual basis. The zoning law normally contains both general and specific standards for conditional uses. Approval of the bed and breakfast as a conditional use then means it must meet general and specific standards. In the cases of appeals, variances, and/or conditional uses, the zoning law specifies the procedures to use. The procedures usually include the filing of an application, scheduling of a public hearing, sending notice of the public hearing to all interested parties, publication of the public hearing in the newspaper, holding the public hearing and making a decision. It is not unusual for the procedures to take anywhere from two to three months. An appeal of the decision from the Board of Zoning Appeals must be made to the Court of Common Pleas. Beyond the appeal, variance and/or conditional use, the only resource to zoning changes is amending the law. Zoning is not rigid and it should be updated on a periodic basis. However, this doesn't mean that just because you want to open a bed and breakfast that the laws should be changed. Anyone thinking about a bed and breakfast in a community where it is not permitted by zoning should realize that attempts to change the zoning laws is a very long process and will need a wide base of support. The major problem today associated with getting approval of a bed and breakfast in many communities is the local zoning law. Since many of these laws were written before bed and breakfasts became popular in the United States, many of them do not contain a definition of a bed and breakfast. In some cases, local zoning officials have permitted bed and breakfasts as long as they meet the standards defined either for boarding houses or tourist homes. A number of communities have or are in the process of amending their zoning laws to clarify this issue now. In communities where bed and breakfasts may not be allowed as permitted use or there are other problems, it is highly recommended that the owner seek legal help from someone who is experienced in zoning regulations. The administration of zoning regulations is a very complex procedure which requires a lot of attention to detail. In many cases the decision of whether to permit a bed and breakfast lies in the ability of the potential owner to convince local officials that the establishment of a bed and breakfast would be an asset to the community. It is not necessary to have a large sum of money or experience in business or hotel management to start a bed and breakfast operation in your home. However, a key ingredient is the ability to get along with all types of people who will be staying at your bed and breakfast. When you operate a bed and breakfast, you become the host--not an owner--who greets and welcomes guests--not clients. Hospitality is your business. A successful bed and breakfast operation builds its reputation on the hospitality it provides. Repeat business and referrals often come as a result of your interactions with your guests. Guests who frequent bed and breakfast homes usually seek the enjoyment of getting to know their hosts and often develop close friendships with them. Here are just a few "tips", hosts can try to increase their guest's satisfaction levels during their stay. Hosts should always provide a warm, friendly welcome at the front door. Take care of business transactions within the first 20 minutes of your guests' arrival. This will include such things as collecting payment, signing guest register,and giving guest a receipt. This allows you to then concentrate on making the stay a pleasant experience without having to worry about payment. Show guests to their room and give them an opportunity to settle in. If they have not had a long trip, you may also want to give guests a quick tour of your home. Offer a beverage and/or a light snack after guests have had some time to settle down from their trip. Check with guests to see if there is anything else they need. Be a "fountain of information" for your guests. As hosts, you should be able to answer questions about your area and mention nearby attractions and places of interest. Provide guest with an information fact sheet about common questions and answers concerning your area. Collect brochures and maps on sightseeing for your area as well as nearby areas of interest. Make these available to your guests at no cost. Collect menus from local restaurants. You may put these in guest rooms or leave them in your lounge area so that people may browse through them at their leisure. Offer "special touches" that will appeal to a variety of guests. Perhaps a breakfast in bed for newlyweds or for special occasions. Always have coffee made early. Find out when guests arrive what they would prefer as a beverage in the morning. A pot of freshly brewed coffee outside the door in the morning will be a treat for the true coffee drinker. Be sure to provide a variety of beverages so that guest can choose from a good selection. Coffee should be of the best quality. Never instant! Experiment with the many different blends available. Offer-- "for an extra fee"-- to make special picnic baskets for lunch or dinner so that guest may enjoy a special outdoor location. This will depend on local food service rules and regulation. An umbrella stand with loan umbrellas near the door may come in very handy for the guest who isn't prepared for bad weather. Set up a special corner in your public lounge area with a variety of games, cards, books and magazines. A variety of reading material in each room is also welcomed. Have extra sample size toilet article on hand for your guests. Things such as shampoo, hand lotion, toothbrushes, razors, toothpaste will be appreciated by your guests. If you wish, you can have a special supply ordered with your logo/name and use to promote your bed and breakfast. Always have liquid soap or the small individually wrapped soaps available in the bathroom so no guest has to use someone else's soap. Liquid soaps can also be used in the shower as well as a special liquid shampoo dispenser. A special guest "welcome tray" in each room can include fruit, cookies, or candy. Provide disposable drinking cups in each room as well as tissues etc. Provide local newspaper as well as one with large circulation such as USA TODAY. Be able to provide your guests with a local map. Mark your home on the map as well as restaurants and other attractions. Keep copies of articles of special interest from your local paper in a notebook for your guests. Collect discount coupons from local restaurants, fast food chains as well as other nearby attractions for your guests'use. Leave a notecard or flyer telling guests where they can order a pizza if they wish. Let your guests know it's all right to eat in their room or on your deck or patio. Help your guests feel comfortable in your home. Make sure they know that they should ask if there is something they need--extra towels, more pillows, iron and ironing board etc. Some hosts put together a collection of their favorite recipes to share with guests. You will need to decide whether or not to charge a few for them. If you have a special hobby or interest, invite your guests to watch you if they wish. If you have an historic home, your guests may want to know more about it. Some hosts keep a scrapbook of pictures and documents detailing the history and/or renovations and restoration of their home. This can be placed in a public area, or if you wish, duplicate it and place in each room. If your community has a walk-it-yourself tour, you may want to provide guests with a copy and make suggestions of things to look for along the route. Provide a list of churches in the area along with worship service hours. Be sure to keep the list up to date to avoid embarrassment for your guests should they happen in during the middle of a service. Be sensitive to your guests' need for privacy and space. Be available for those who want to talk to you, but just in touch enough for the guest who wants to be left alone. If guests want to get to know you better, do so. You are a unique individual. . .your way of life, your home, your town. . .all make the visit very special to your guests. The "extras" you provide go a long way. Word of mouth is one of the best ways to attract more guests and repeat visitors, so make a positive impression. Happy Losar! (Tibetan New Year) ? If you live in the Dallas area?if you?re travelling to the Dallas area?If you live anywhere in Texas?come on down to Alla?s Historical Dallas Bed and Breakfast where old ways and new ways meet to offer a thoroughly modern version of old world hospitality?and, enjoy the rooster! Alla is what makes Alla?s B & B a stand-out with warm-hearted hosting, world-class cooking, and stories that reach across cultures. The John C. Pelt Home of Duncanville (a guesthouse in a museum) is ?the oldest original all brick home in the city of Duncanville (South-West Dallas County) built by the chief Mason in 1927, John C. Pelt.? Rick, Alla?s husband, is a collector and dealer of Edison-era grammaphones and telephones, and evidence of this passion throughout the house adds layers of historical authenticity. I stayed here after the Story Circle Network Conference in Austin, Texas. I jumped in my rental car and, true-to-Texan-form, just popped right over to the Dallas area to reunite briefly with my god daughter, Andria Ebel, just back from Peace Corps Service in Mongolia. Since we hadn?t seen each other by ourselves for several years, it was a huge treat to have one-on-one visiting time?and to meet the people in her life now who form a loving circle around her, D.C. Brooks and his mother, Lisa. We had two great meals at Los Lupes. Hear the ring of cell phones amidst rings from the working antique phones in the house?then open up your laptop for high speed internet connection seated in a plush red velvet antique chair. There you are, surrounded by the charm of the 1920s and 1930s, with all the 21st century conveniences we?ve come to rely upon right in the heart of a small town. Wake up to bird song and the crow of the neighbor?s rooster as the bell rings for one of Alla?s fantastical breakfasts! Rick, Alla?s husband, with Janet, taking a break from eating Alla?s large homecooked country-style breakfast. Alla?s full table?can you possibly eat it all? No problem?save some for a snack later in the day or to take on your journey. What I love about Riehlife and all of your work is the way you ferret out the stories in everything you come across, and how you connect those stories to our lives. I don?t know that I?ll ever get to Duncanville (I bet there?s a story in that name too), but I?m charmed by the hospitality and history you found at Alla and Rick?s home and museum. You create community wherever you go, however long you stay. Gasp! Those chimneys make me weak in the knees. What a lovely home! Why Bed and Breakfasts better than Hotels & Inns? Bed and Breakfast is a comprehensive worldwide listing of bed and breakfasts, B&B home stays, country inns, urban bed and breakfasts, guest houses, lodges, cabins, historic hotels, small resorts, guest ranches, farmhouse accomodations, and working farm and ranch vacations. B&B database searches allow you to find the ideal bed and breakfast inn, whether you are looking by location, amenities, online bookings, recipes, special packages, last-minute availability, or Bed and Breakfast gift certificate acceptance. Bed and Breakfast offers a wide variety of additional information to enhance your inn travel experience. Inngoers can post reviews on their favorite B&Bs on Bed and Breakfast message boards. Bed and Breakfasts and inns personally recommended by Alla. Aspiring innkeepers can browse the bed and breakfasts listed for sale in the Inns for Sale section. Active innkeepers enjoy the monthly Innkeeper News, filled with vital information for owners of bed and breakfast inns. The Innkeeper Services section of the website also contains marketing information essential for operating a successful bed & breakfast inn. Bed & Breakfasts around the World. Bed and breakfast, also known as B&B, is a term, originating in the United Kingdom, but now also used in the USA and Canada, for an establishment that offers bed accommodation, and breakfast in return for payment, but usually does not offer other meals. Typically, bed and breakfasts are private homes with only one or two bedrooms available for commercial use. A boarding house is different from and has a longer history than a bed and breakfast facility. The boarding house is for longer term stays, whereas bed and breakfast is for people travelling through the area on short stays. Generally, guests are accommodated in private bedrooms with private bathrooms, or in a suite of rooms including an en suite bathroom. Some homes have private bedrooms with a bathroom which is shared with another guest or sometimes more than one other guest. Breakfast is served in the morning ? in the bedroom, a dining room, or the host's kitchen. B&Bs and guest houses may be operated either as a secondary source of income or a primary occupation. Staff can consist of the home's owners and family members, or you may find some bed and breakfasts where the home's owners have hired cleaning, cooking and other staff. A property which hires professional management is no longer a bed and breakfast, but enters the category of Inn, Guest House or Small Hotel. B&B's are a form of a tertiary business. Despite the cultural similarities, there are far fewer B&B's in the whole continent of Australia than there are in just the South Island of New Zealand despite the resident population being more than twenty times greater. Since 1879 the average per capita disposable income of Australians has been greater than that of New Zealanders and this has mitigated the powerful incentive to let out rooms in their homes to travelers. Another factor may be that Australia has, apart from City States such as Singapore, the greatest concentration of city dwellers anywhere on the globe and these cities are amply supplied with budget hotels and motels. In Belgium bed and breakfasts generally offer better value than hotels, and provide the opportunity to sample the local food and meet new people. Bed and breakfast accommodations often have a very relaxing, homey feel to them. B&Bs, and frequently guest houses, are a budget option where owners often take pride in the high service levels, local knowledge and personal touch that they are able to offer. There tend to be concentrations of B&Bs in the seaside towns where, historically, the working classes holidayed such as Newcastle in Ireland and Blackpool in England, in isolated rural areas such as the Highlands of Scotland and Connemara where there is not a year-round concentration of travellers sufficient to sustain an hotel, and are present in most towns and cities in numbers dependent upon factors such as the level of tourism, York in England and Edinburgh in Scotland, for example, both have several hundred establishments known as either B&B's or guest houses. Breakfast is usually cooked on demand for the guest and usually features bacon, eggs, sausages, tomatoes, mushrooms and baked beans, but some offer a continental breakfast. In recent years some bed and breakfast businesses in the UK have struggled against budget hotel chains such as Premier Travel Inn and Travelodge. Traditionally, business travellers used B&Bs but many of these clients now tend to stay in budget hotel chains. However, in holiday areas the B&B and guest house still prevails. Unlike the 'chain' accommodation providers these provide a more comprehensive service and breakfast is included in the price. The Israeli B&B is known as a zimmer (German for room). All over the country, but especially in the north of the country and the Galilee, zimmers have become a popular alternative to hotels for romantic weekends or family vacations. As in the USA, Bed and Breakfasts in New Zealand tend to be more expensive than Motels and often feature historic homes and lovingly furnished bedrooms at a commensurate price. The historic city of Nelson has an unusually high concentration of both of these accommodations and alternatives because it was historically the place where kiwis holidayed. Many B&Bs in North America try to create a historical ambiance, with old properties turned into guesthouses decorated with antique furniture. For example, the Holladay House in Orange, Virginia is an 1830s Federal-style brick building that has been converted into a bed and breakfast. Recently, B&B and Inn owners have been launching upscale amenities to improve business and move "up-market." It is not uncommon now to find free wireless Internet access, free parking, spa services, or nightly wine and cheese hours. Due to the need to stay competitive with the rest of the lodging industry, larger bed and breakfast inns have expanded to offer wedding services, business conference facilities, and meeting spaces as well as many other services a large hotel might offer. Regulations and laws vary considerably in each national jurisdiction both in content and extent and in enforcement. Most B&Bs are generally compliant with their jurisdiction's laws. In Hawaii, it is illegal to open an new bed & breakfast on Oahu as of 1989.The reason for the moratorium is to force home owners with extra room to rent out their extra space to low income residents who otherwise cannot afford housing on crowded Oahu. While various local governments have regulations and inspect for health issues and fire safety code, membership in a state/provincial/national bed and breakfast association can indicate a higher standard of hospitality. Associations sometimes review their members' properties and tend to have additional standards of care. These associations also facilitate marketing of the individual B&Bs and provide a stamp of approval that the business in question is reputable. This "stamp of approval", however, may be just an indication that membership dues have been paid. Two for-profit professional innkeeper associations that operate in the United States are the Professional Association of Innkeepers International and Select Registry. Most states also have state associations. These associations are usually non-profit organizations. The Professional Association of Innkeepers International (PAII) is a national for-profit organization with members in the U.S., Canada, and other countries. PAII currently holds annual trade conferences for education of innkeepers and prospective innkeepers. Attendance to these conferences is open and well advertised to all. PAII also provides an industry study to all of its members at low cost that details operations and finance of the industry. Select Registry is a national organization that inspects its member properties on a regular basis, beyond routine inspections that may be carried out by the local government. The Caucus of American Innkeepers (or CAIK) is a social and professional networking organization for owners of B&Bs, country inns, and similar properties. The Bettina Network, is a national network of private homes which accept bed and breakfast guests. All homes are thoroughly checked out by someone from the Network spending the night in the home. The network handles all aspects of the room (pricing, advertising, reservations, payment collection etc). Questionnaires are sent to each guest to insure the satisfaction of all who use the service. In the US, states also have innkeeping associations that are usually non-profit and exist to promote the industry and state tourism. However, many state associations, such as the Bed and Breakfast Association of Virginia (BBAV) have rigorous inspection criteria that often exceed government requirements for safety and cleanliness. Stay at Dallas Historic Bed and Breakfast. Bed and breakfast accommodation has a long history. For centuries travelers were staying not only in all kinds of inn but in private houses for the night. 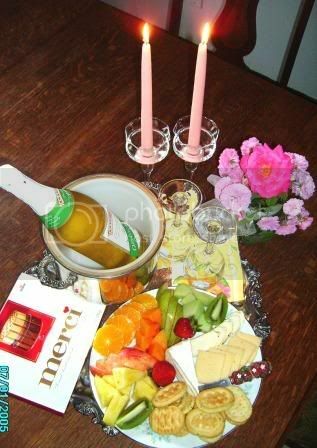 Nowadays the tradition is still alive and the bed and breakfast is flourishing in many countries all over the world. Bed and breakfast means that a family is providing travelers with a room for the night in their own private house. In the morning the guests are provided with the breakfast as one can see it from the name. The breakfast is included in the cost. The conditions of stay and the variants of breakfast vary according to many different factors. In the morning guests can be served either a so-called American breakfast consisting of beacon and eggs . In different areas family may follow some national or local breakfast traditions. In fact every single family can have it's own breakfast habits. Stuff of the bed and breakfast are usually the members of the family. The accommodation business can be the main business of the housekeeper or an additional one. Unlike the city hotels the amount of bed and breakfast guests can increase tremendously in the heat of the summer season or during some holidays and almost come to naught during the winter season. By the way this is the reason that a traveler who is planning to stay at a bed and breakfast should care about the reserving of place before the trip. One should mind that a private house which the bed and breakfast is can accommodate the number of guest usually limited with one dozen or something about that. Bed and breakfast accommodation can offered not for one night only, but sometimes the you will be supposed to stay away the most part of the day. Most of those bed and breakfast are located in the mid of the attractive natural areas or along popular tourist routs. The houses often have that cozy old traditional look . Most bed and breakfast all over the world are listed and reported about in the Global Net and in different tourist guides. Bed and breakfast accommodation has one general advantage - you pay only once. The tax.,local telephone calls, parking, video library and etc - all is included in the general cost. No permanent tipping or overvalued prices for the goods and servises. And plus the housekeeper will give you some advice about where to go, where to eat, where to buy or can even assist you in satisfying some of your needs - either it'll be renting a car or an early breakfast. The city is the main economic center of the 12-county Dallas?Fort Worth metropolitan area?at over 6.1 million people, it is the fourth-largest metropolitan area in the United States. Dallas is also listed as a gamma world city by the Loughborough University Globalization and World Cities Study Group & Network. Dallas was founded in 1841 and formally incorporated as a city on 2 February 1856. The city's economy is primarily based on the petroleum industry, telecommunications, computer technology, banking, and transportation. It is the core of the largest inland metropolitan area in the United States and lacks any navigable link to the sea?Dallas's prominence despite this comes from its historical importance as a center for the oil and cotton industries, its position along numerous railroad lines, and a strong industrial and financial sector. Dallas is currently the third most popular destination for business travel, and the Dallas Convention Center, in downtown Dallas, is one of the largest and busiest convention centers in the country, at over 1 million square feet, and the world's largest singular column-free exhibit hall. Before Texas was claimed in the 16th century as a part of the Viceroyalty of New Spain by the Spanish Empire, the Dallas area was inhabited by the Caddo Native Americans. Later, France also claimed the area, but in 1819 the Adams-On?s Treaty made the Red River the northern boundary of New Spain, officially placing Dallas well within Spanish territory. The area remained under Spanish rule until 1821, when Mexico declared independence from Spain and the area became part of the Mexican state of Coahuila y Tejas. In 1836, the Republic of Texas broke off from Mexico to become an independent nation.In 1839, four years into the Republic's existence, Warren Angus Ferris surveyed the area around present-day Dallas. He shot the bears, poisoned the wolves, chased off the natives, and made the area safe for John N. Bryan to "found" the city of Dallas in 1841. In 1846 the Republic of Texas was annexed by the United States and Dallas County was established. It is strongly debated whether the City of Dallas, Texas is named after the U.S. Vice President, George Mifflin Dallas. According to the United States Census Bureau, the city has a total area of 385 square miles (997.1 km? )?342.5 square miles (887.1 km?) of it is land and 42.5 square miles (110.1 km?) of it (11.03%) is water. Dallas makes up one-fifth of the much larger urbanized area known as the Dallas/Fort Worth Metroplex?about a quarter of all Texans live in the Dallas/Fort Worth/Arlington metropolitan area. Dallas shares the same latitude with Nagasaki, Japan. The Trinity River is a major Texas waterway that passes from the city of Irving into west Dallas, where it is paralleled by Interstate 35E along the Stemmons Corridor, then flows alongside western downtown, and through and alongside south Dallas and Pleasant Grove, paralleled by Interstate 45, where it exits into unincorporated Dallas County and heads southeast to Houston. The river is flanked on both sides by 50 feet (15 m) tall earthen levees to protect the city from floods. The river has been treated much like a drainage ditch throughout Dallas's history, but as Dallas began shifting towards a postindustrial society, public outcry about a lack of aesthetic and recreational use for the river ultimately gave way to the Trinity River Project. The project, which began in the early 2000s and is scheduled to reach completion in the 2010s, will result in lakes, new park facilities and trails, and transportation improvements. As a result, the Trinity River project area will reach for over 20 miles in length within the city and the overall geographical land area addressed by the Trinity River Land Use Plan is approximately 44,000 acres in size ? about 20% of the land area in Dallas. Parks and the natural Great Trinity Forest will together encompass approximately 10,000 acres, making it one of the largest and diverse urban parks in the world. Dallas has a humid subtropical climate, yet this part of Texas also tends to receive warm, dry winds from the north and west in the summer. Winters are generally mild, with typical daytime highs between 50 ?F (10 ?C) and 65 ?F (18 ?C) and nighttime lows between 30 ?F (−1 ?C) and 50 ?F (10 ?C). However, strong cold fronts known as "Blue Northers" sometimes pass through Dallas, plummeting nightly lows below 30 ?F (−1 ?C). Snowfall is seen on average 2-4.5 days out of the year and snow accumulation is typically seen at least once every winter. A couple of times each year, warm and humid air from the south overrides cold, dry air, leading to freezing rain, which often causes major disruptions in the city if the roads and highways become dangerously slick. On the other hand, daytime highs above 65 ?F (18 ?C) are also not unusual during the winter season. In sum, extremes in weather are more readily seen in Dallas and Texas as a whole than along the Pacific and Atlantic coasts, due to the state's location in the middle of the U.S. In the spring, cool fronts moving from Canada collide with warm, humid air streaming in from the Gulf Coast. When these fronts meet over northern and central Texas, severe thunder storms are generated with spectacular lightning shows, occasional torrents of rain, hail, and at times, tornadoes. Over time, tornadoes are perhaps the biggest threat to the city. Dallas was hit by a powerful tornado on 2 April 1957, The tornado would have likely been an F3. On March 28, 2000, the ?Fort Worth Tornado? had an impact upon Dallas's neighbor Fort Worth's downtown, and a tornado in Arlington, Texas also happened that day damaging some homes. Even though Dallas lies at the lower end of the "Tornado Alley", that day had the worst tornadoes to happen to the metroplex in the last 50 years. The U.S. Department of Agriculture places the city of Dallas in Plant Hardiness Zone 8a. Dallas has the 12th worst ozone air pollution in the nation according to the American Lung Association, ranking it behind Los Angeles and Houston. Much of the air pollution in Dallas, and the DFW Metroplex in general, comes from a hazardous materials incineration plant in the southern-most suburb of Midlothian, as well as concrete installations in neighboring Ellis County. Another major contributor to air pollution is exhaust from automobiles. Due to Dallas's spread out nature and high amount of urban sprawl, automobiles are the only available mode of transportation for many. All time recorded high is 113 ?F, and all time recorded low is -2 ?F. The average daily low in Dallas is 57 ?F (14 ?C) and the average daily high in Dallas is 77 ?F (25 ?C). Dallas receives approximately 37.1 inches (942.3 mm) of rain per year, much of which is delivered in the spring or summer. Dallas's skyline contains several buildings over 700 feet (210 m) in height and the city is considered the fifteenth-tallest city on earth. Most of the notable architecture in Dallas is modernist and postmodernist. Iconic examples of modernist architecture include I. M. Pei's Fountain Place, the Bank of America Plaza, Renaissance Tower, and Reunion Tower. Examples of postmodernist architecture include the JPMorgan Chase Tower and Comerica Bank Tower. Several smaller structures are fashioned in the Gothic Revival (Kirby Building) and neoclassical (Davis and Wilson Buildings) styles. One architectural ?hotbed? in the city is a stretch of homes along Swiss Avenue, which contains all shades and variants of architecture from Victorian to neoclassical. As a result of the Trinity River Project, Dallas is also seeing construction of a series of bridges designed by Santiago Calatrava. The first one being built the Margaret Hunt Hill Bridge will reach a height of over 40 stories above the river basin. Central Dallas is anchored by Downtown, the center of the city and the epicenter of urban revival, coupled with Oak Lawn and Uptown Dallas, new urbanist areas anchored by dense retail, restaurants, and nightlife. Downtown Dallas has a variety of neighborhoods, including the West End Historic District, the Arts District, the Main Street District, Farmers Market District, the City Center business district, the Convention Center District, the Reunion District and Victory Park. North of downtown is Oak Lawn, a densely-populated area that contains parks along Turtle Creek and the popular Uptown area with LoMac, Cityplace and the West Village. The east side of Dallas contains the community of East Dallas, home to Deep Ellum, a trendy arts area close to downtown, homey Lakewood, the historic Vickery Place, Bryan Place, and historically and architecturally significant homes on Swiss Avenue. Above the Park Cities is north Dallas, home to mansions as palatial as Versailles in Preston Hollow, strong middle and upper-class communities north into Bent Tree and Far North Dallas, and high-powered shopping at Galleria Dallas, NorthPark Center, and Preston Center. East of north Dallas and north of east Dallas is Lake Highlands, one of the most unified middle-class areas in the city, with the strongest definition?it is in the northeastern part of the city above White Rock Lake and east Dallas. The southern portion of Dallas is home to Oak Cliff, a hilly area in southwest Dallas that is predominantly Hispanic and includes entertainment districts such as the Bishop Arts District. South Oak Cliff became a predominantly African American district after the early 1970s and has struggled with high rates of poverty and crime. To the east, south Dallas lays claim to the Cedars, an eclectic artist hotbed south of downtown, Fair Park, and areas west of the Trinity River and east of Interstate 35E. The University of North Texas at Dallas, currently located south of Oak Cliff along Interstate 20, is being built in the area along Houston School Road. Further east, above (north and east of) the Trinity River, is Pleasant Grove?once an independent city, it is a predominantly black collection of neighborhoods stretching to Seagoville to the southeast. The city is further surrounded by many suburbs and encloses the following enclaves: Cockrell Hill, Highland Park, and University Park. Politically, Dallas-Fort Worth metropolitan area is the third most liberal of the Texas metropolitan areas (after Austin and El Paso), (in contrast 54% of Houston and San Antonio voters and an even higher percentage of rural Texan voters are conservative). Nonetheless, Dallas is also a high profile center of conservative Protestant Christianity and is home to several renowned seminaries and influential megachurches. The political environment is also solidly pro-business. The Dallas TV series helped to solidify a number of Dallas stereotypes including wealthy oil barons, women with big hair, and businessmen wearing cowboy hats. Present-day Dallas as a singular entity can be seen as fairly moderate to liberal, with conservative Republicans dominating the upper-middle class suburban neighborhoods of North Dallas and liberal Democrats dominating neighborhoods closer to Downtown as well as the city's southern sector. As a continuation of its suburban northern neighborhoods, Dallas's northern suburbs are overwhelmingly conservative. Plano, the largest of these suburbs, was ranked as the fifth most conservative city in America by The Bay Area Center for Voting Research, based on the voting patterns of middle-age adults. However, the city of Dallas (excluding its suburbs) generally votes for Democratic political candidates in local, state, and national elections. In the 2004 Presidential elections, over 75% of Dallas voters voted for John Kerry over George W. Bush, making the city the 32nd most liberal city in the United States by sheer percentages and more liberal than traditionally left-leaning cities such as Los Angeles, Milwaukee, and Cincinnati. The county as a whole was split evenly, with 50% of voters voting for Bush and 49% voting for Kerry. In the 2006 elections for Dallas County judges, 41 out of 42 seats went to Democrats. In 2004, Lupe Valdez was elected Sheriff of Dallas County the first Hispanic, first woman, and first open lesbian ever to fill that role. She is currently one of only two female sheriffs in the state of Texas., the other being Sheriff Rosanna Abreo of Bastrop County. In 2007, conservative Republican Tom Leppert defeated Ed Oakley by a margin of 58% to 42% to become the Mayor of Dallas. Oakley, a liberal Democrat, would have become the first openly gay mayor of a major U.S. city had he been elected. The city's elections are officially non-partisan. Dallas is renowned for barbecue, authentic Mexican, and Tex-Mex cuisine. Famous products of the Dallas culinary scene include the frozen margarita and the restaurants La Calle Doce, Sonny Bryan's Smokehouse, Enchilada's, Mi Cocina, Bone Daddy's Barbecue, and The Mansion on Turtle Creek. The French Room at the Hotel Adolphus in downtown Dallas was named the best hotel restaurant in the US by Zagat. Several nationally ranked steak and chop houses can be found in the Dallas area including Bob's Steak & Chop House which is currently ranked #3 according to the USDA Prime Steakhouses chart, behind Ruth's Chris Times Square and Bones Atlanta. On average, Dallasites eat out about four times every week, which is the third highest rate in the country, behind Houston and Austin, and Dallas has more restaurants per capita than New York City. The Arts District in downtown is home to several arts venues, both existing and proposed. Notable venues in the district include the Dallas Museum of Art, the Morton H. Meyerson Symphony Center, The Trammell & Margaret Crow Collection of Asian Art, the Nasher Sculpture Center,The Dallas Contemporary, The Dallas Children's Theatre. Venues under construction or planned include the Winspear Opera House and the Dallas Center for the Performing Arts. The district is also home to DISD's Booker T. Washington High School for the Performing and Visual Arts, which is currently being expanded. Deep Ellum originally became popular during the 1920s and 1930s as the prime jazz and blues hotspot in the south.Artists such as Blind Lemon Jefferson, Robert Johnson, Huddie ?Leadbelly? Ledbetter, and Bessie Smith played in original Deep Ellum clubs such as The Harlem and The Palace. Today, Deep Ellum is home to hundreds of artists who live in lofts and operate in studios throughout the district alongside bars, pubs, and concert venues. One major art infusion in the area is the city's lax stance on graffiti; consequently, several public ways including tunnels, sides of buildings, sidewalks, and streets are covered in murals. One major example, the Good-Latimer tunnel, was torn down in late 2006 to accommodate the construction of a light rail line through the site. Dallas is home to the Dallas Desperados (Arena Football League), Dallas Mavericks (National Basketball Association), and Dallas Stars (National Hockey League). All three teams play at the American Airlines Center. The Major League Soccer team FC Dallas, formerly the Dallas Burn, used to play in the Cotton Bowl but moved to Pizza Hut Park in Frisco upon the stadium's opening in 2005. However, the college Cotton Bowl football game is still played at the stadium. The Dallas Sidekicks, a former team of the Major Indoor Soccer League, used to play in Reunion Arena. The Texas Tornado, three-time defending champions of the North American Hockey League, plays at the Deja Blue Arena in Frisco. Nearby Irving is home to the Dallas Cowboys of the National Football League while Arlington is home to the Texas Rangers of Major League Baseball. By 2009, the Dallas Cowboys will be located in Arlington at a new facility. Other teams in the Dallas area include the Dallas Harlequins of the USA Rugby Super League, the Frisco RoughRiders of Minor League Baseball in Frisco, and the Grand Prairie AirHogs minor league baseball team.The Dallas Diamonds, the two-time national champions of the Women's Professional Football League Women's American football team, plays in North Richland Hills.McKinney is home to the Dallas Revolution, an Independent Women's Football League Women's American football team. Cricket is another sport that is popular among diaspora from South Asian countries. Local universities such as SMU and UT-Dallas have their own cricket clubs that are affiliated with USA Cricket. The City of Dallas maintains and operates 406 parks on 21,000 acres (85 km?) of parkland. Its flagship park is the 260-acre (1.05 km?) Fair Park which was originally developed to host the Texas Centennial Exposition in 1936. The city is also home to Texas's first and largest zoo at 95 acres (0.38 km?) ? the Dallas Zoo, which opened in 1888. The city's parks contain 17 separate lakes, including White Rock and Bachman lakes, spanning a total of 4,400 acres (17.81 km?). The city is traversed by 61.6 miles (99.1 km) of bike & jogging trails, including the Katy Trail, and is home to 47 community and neighborhood recreation centers, 276 sports fields, 60 swimming pools, 232 playgrounds, 173 basketball courts, 112 volleyball courts, 126 play slabs, 258 neighborhood tennis courts, 258 picnic areas, six 18-hole golf courses, two driving ranges, and 477 athletic fields. To the west of Dallas in Arlington is Six Flags Over Texas. Hurricane Harbor, a large water park, is also in Arlington. 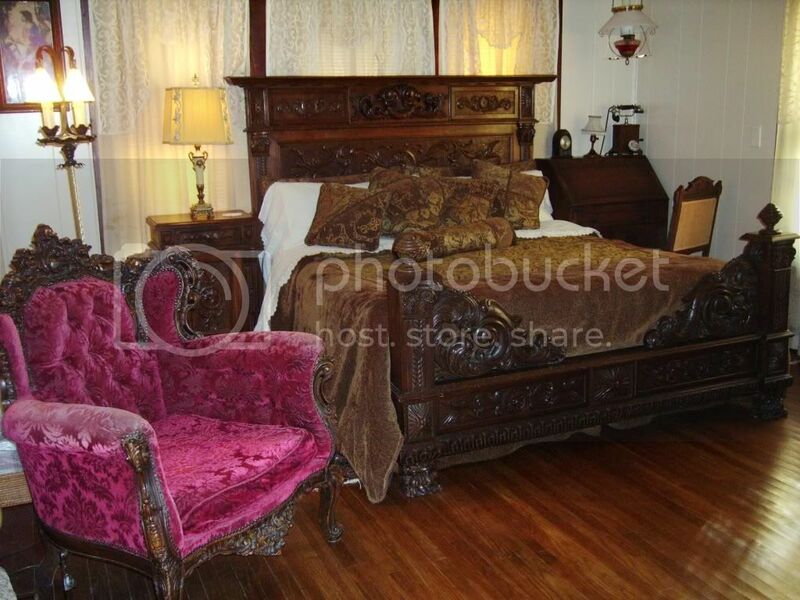 Have you been at Alla's Romantic Getaway Bed and Breakfast Inn Dallas Tx.? A bed and breakfast is generally known as a private home where a guest is provided a place to stay for the night. In some cases, the bathroom provided for the guest is shared with the family or another guest -- although the majority of guests now expect (or demand) a private bathroom (usually en suite, or "in the room"). Breakfast is usually included with the price of the room. A bed and breakfast provided in a private home is sometimes referred to as a homestay. In addition to converted private residences, some establishments are considered bed and breakfast inns. The same concepts of "room and breakfast" apply. The major difference is that an inn has more rooms available than the usual one to four found in a private home. Inns often provide meals in addition to breakfast, as well as other services not always provided in a private home. These two terms are used in the industry to distinguish the difference between a stay in a private home and an inn. But remember, no two homes or inns are alike. They vary even within the same geographic area. These differences are part of what attracts people to stay at a B&B home or inn and are a significant part of their popularity. Each one has its own personality. Generally, a B&B is not the reason for a guest to visit an area, but in some cases B&Bs have done such a masterful marketing job that this has changed. People read articles in a variety of publications and sometimes are attracted by a bed and breakfast and plan to visit the area specifically to stay at that B&B. Travelers usually are attracted by recreational, cultural or historic sites, or by business they have in a particular area. Business travelers, especially women, sometimes seek out bed and breakfast accommodations as an alternative to the typical lodge, motel or hotel facility available in an area. B&Bs provide the traveler with a different lodging experience as well as what many consider a safer environment. The bed and breakfast concept has existed in one form or another since the beginning of man. Monasteries served as bed and breakfasts for travelers, and in some cases still do. Bed and breakfasts have been very popular with the traveling public in Europe for years. It was in England, Scotland and Ireland that the term "B&B" first came into use. Tourists will see B&B signs in many windows there. The term "bed and breakfast" is not used in many other countries. Terms such as paradors, pensions, gasthaus, minskukus, shukukos and pousados are used to describe what Americans and English-speaking Europeans think of as a bed and breakfast. The United States also has a history of bed and breakfasts dating back to the time of early settlers. As the pioneers traveled the trails and roads across this county, they sought a safe refuge in homes, inns and taverns. In fact, some of those historic accommodations now serve as B&Bs. During the Great Depression, many people opened their homes to travelers to bring in some additional money for the family. The term "boarding house" was used at this time. After the Depression, this type of lodging declined and many people had the idea they were just for low-income travelers or drifters. In the early fifties, people may remember the term "tourist home" being used. This too was essentially a form of bed and breakfast. Once motels were built on the new highways, they were soon forgotten. In large part because of the number of Americans traveling to Europe in recent years and rediscovering B&Bs, there has been an exponential increase in interest in the U.S. Today, the B&B is not viewed as a low-cost lodging facility but as an attractive alternative to the typical standard chain hotel or motel room. Today, some bed and breakfasts offer amenities not unlike those found at the most upscale hotels in the world.